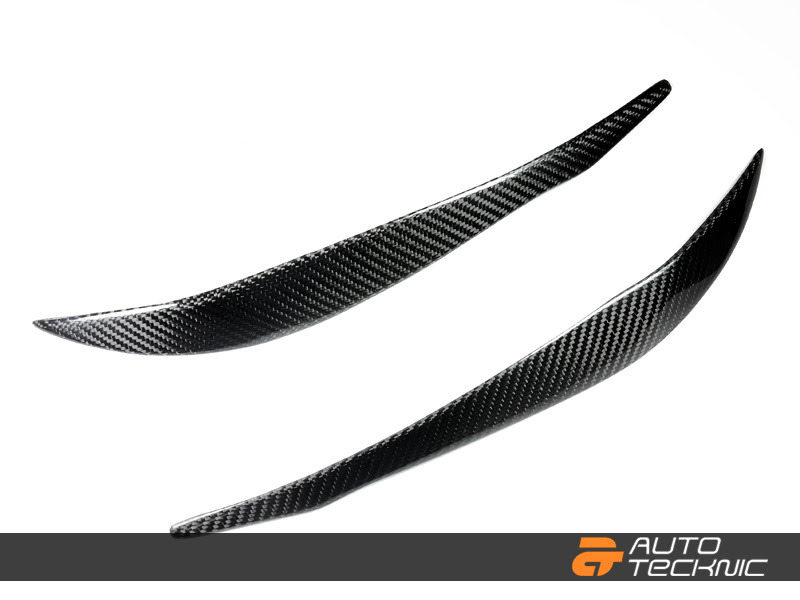 Enhance the aesthetics of your BMW's front end with these carbon fiber eyelids for the F30 3 Series Sedan & F31 3 Series Wagon. 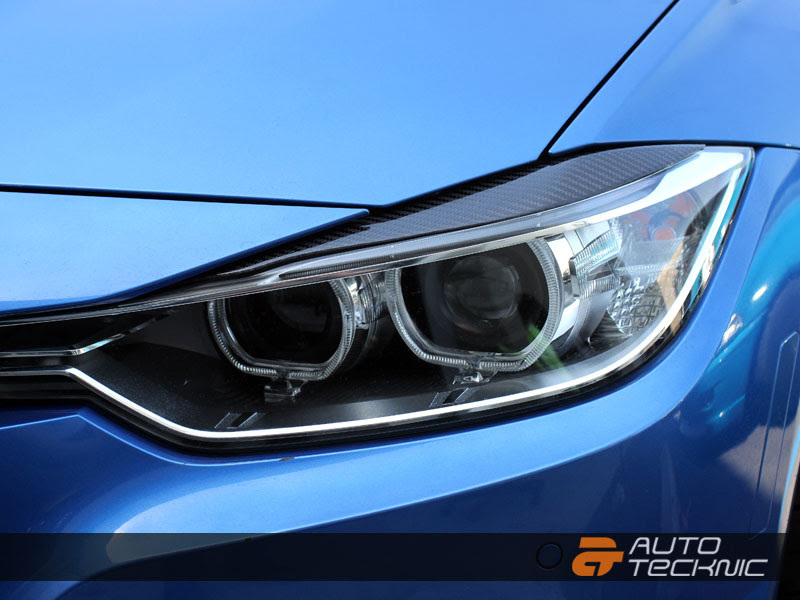 These eyelids offer a more aggressive appearance while maintaining the elegant aesthetic of the BMW. These eyelids are manufactured in flexible FRP wrapped in 3K twill weave carbon fiber and contoured to follow the shape and curve of the headlights perfectly. This is a Performance style Eye Lids for F30 3 series sedan including 328I and 335I. To Install, just align the eyelids to the hood and bumper, then use the included double sided tape and tape it onto the headlights, and you are done!